Born in Shepparton, local schooling & training. 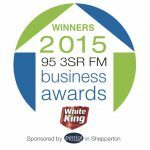 Multi award winning apprentice of the year 07, 08 & 09 and outstanding achievements. 2007 Silver medallist in the World Skills Australia Competition, Vic country region. Completed apprenticeship with local painter who worked in with Rodney Allemand over the years during Alan’s apprenticeship. 2009 Silver medallist in the World Skills Australia Competition, Vic country region. Completed apprenticeship with Rodney Allemand. Service – Friendly, courteous, honest and professional service. Our team consists of qualified tradesmen (no unskilled labour) to ensure efficiency and quality workmanship. We carry the appropriate insurance cover all professional tradesmen should have. Convenience – We can work in with your needs, to minimise any inconvenience for you. Whether that means after hours or week-ends, we don’t mind. Time – We acknowledge that your time is valuable. Therefore we will make a commitment to you that we intend to keep. If keeping our time commitment falls out of our control, we will advise you of the delay as soon as possible. 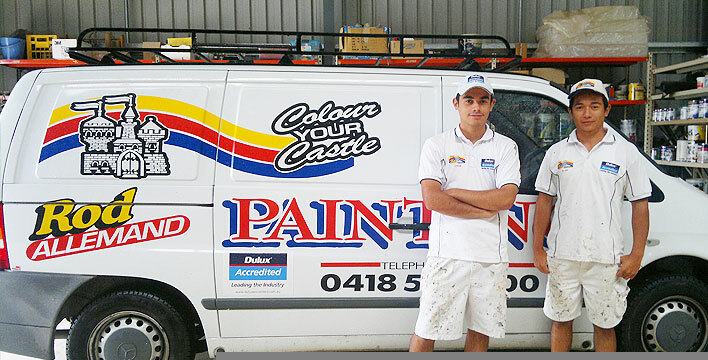 Experience – The practical experience this Company offers includes: Roof painting (metal and tiled), Commercial and Domestic painting, Industrial painting, Protective Coatings, painting of Concrete Floors, Airless Spraying, Wallpapering, and more. Approximately 85% of our workload is from our happy clients who form a 1100 strong database. We are ever mindful that the best advertising is old-fashioned word-of-mouth…from a delighted client.